My niece was a big fan of the TV show Lost. She was convinced that I’d love ABC’s science-fiction hit, as well, and urged me to watch the series, start to finish. Once upon a time, a friend would give you a book for Christmas, or recommend a good movie. The expectation was that you would enjoy the book or film, and afterward you two would have something to discuss. But a movie takes no more than a couple of hours to watch, and you can knock off a 300-page novel in a week or two. Lots of shows are unpredictable. A scene will surprise you and you’ll think, “Wow.” But moments later, you’ll also think, “That could never happen in real life.” What makes Bad so good is that it’s both surprising and logical. It catches you off guard, but the shocks almost always make dramatic sense. Anna Gunn, the actress who portrays protagonist Walter White’s wife, wrote an opinion piece for The New York Times about the stream of online vitriol directed at her character and, by extension, at Gunn herself. Apparently, Skyler White was viewed by many fans as a drag on Walt’s ambitions. This hostility makes little sense to me. Gunn’s performance was superb and her character, Skyler, was no “ball and chain,” no whining shrew. If anything, Skyler gave wayward Walt more support than he deserved. In fact, by the end of the show, she was the more sympathetic spouse. My conclusion about the online Skyler/Gunn haters: There are a lot of idiots out there. Producers originally considered filming the series in California but moved it to New Mexico for budget reasons. 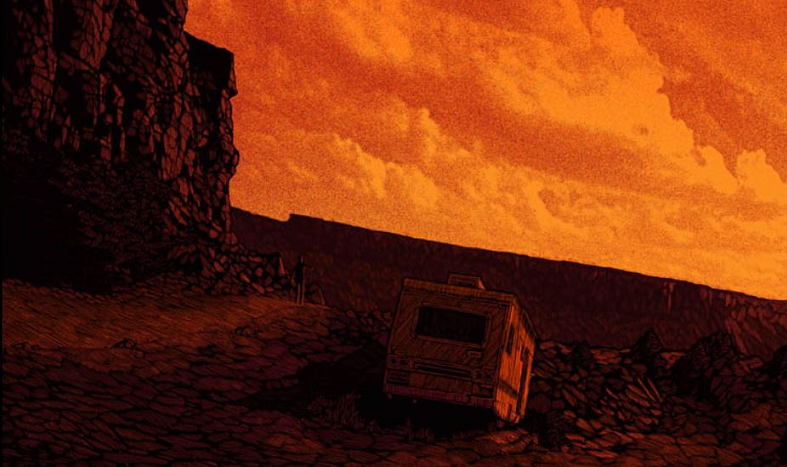 That was a great decision for a couple of reasons: 1) The desert scenery is often spectacular, and 2) I, for one, am sick to death of shows set in Southern California. It’s a big, gorgeous country, is America; must every other TV show be set in Orange County? Bad routinely accomplishes something I used to think only big-screen features could pull off: It generates genuinely thrilling action sequences — often. This is a tribute to the writers and the production team, especially the editors and directors. 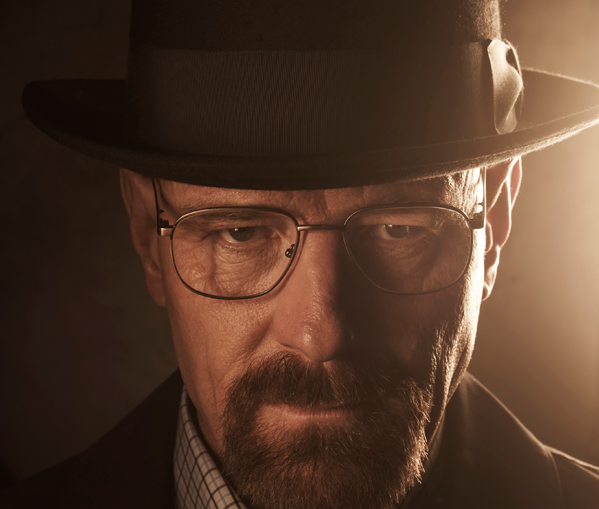 Critical praise for Breaking Bad seemed to build each year, so that by the time the series ended after five seasons, it was hailed as one of the best TV dramas of all time. I don’t disagree with that, but to me the show’s first three years are its best three years, when Walter and young Jesse are climbing (or descending) the criminal ladder. 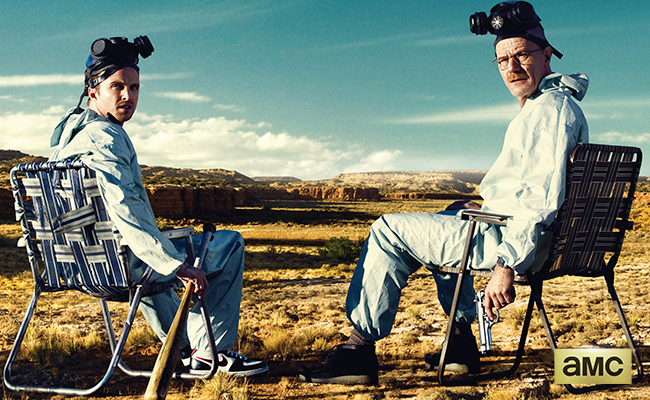 Season four had plenty of great moments, but I thought the cat-and-mouse war between drug kingpin Gus and Walt/Jesse went on a bit long, and the story at times was a bit predictable, a bit repetitive.